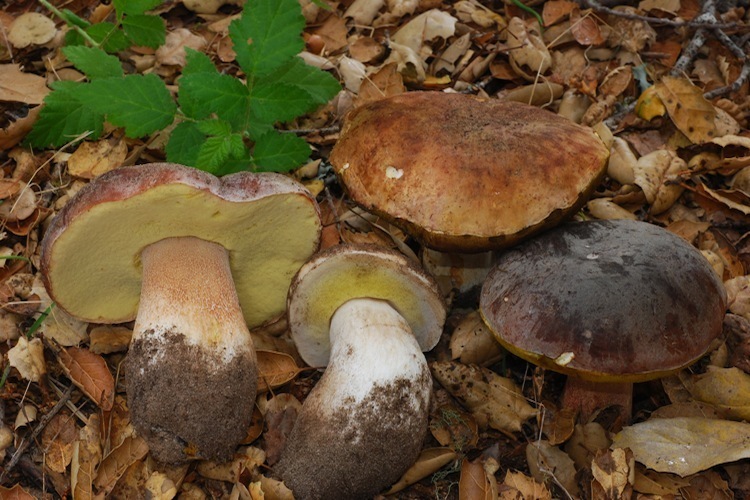 Approximately 5 species in Santa Cruz County. 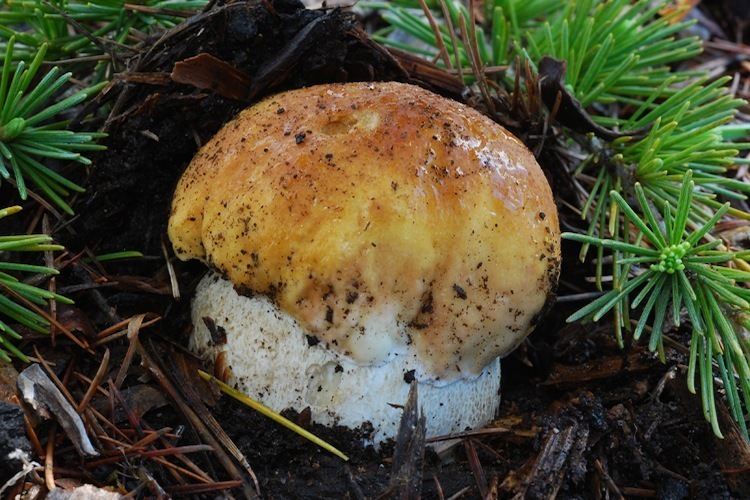 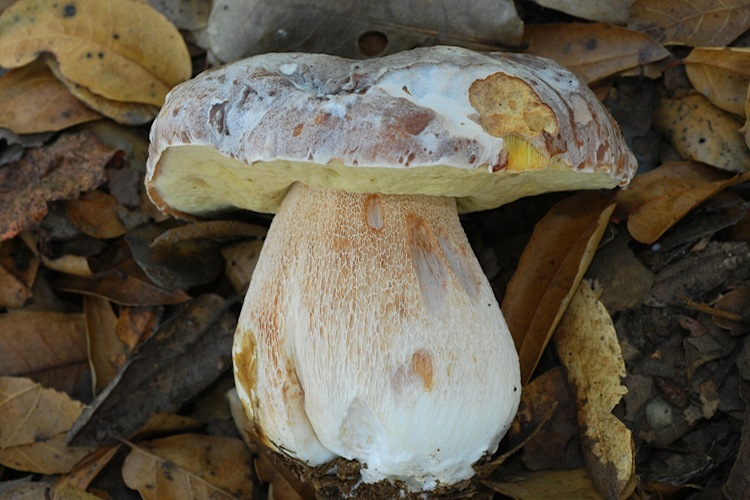 This genus of boletes is the 'core' of the family, and in the most modern, restricted sense includes only species with stuffed white pores when young (becoming yellowish to olive and then variably brown in age), pores that do not stain strongly when scratched, and reticulate and often very large, clavate stipes. 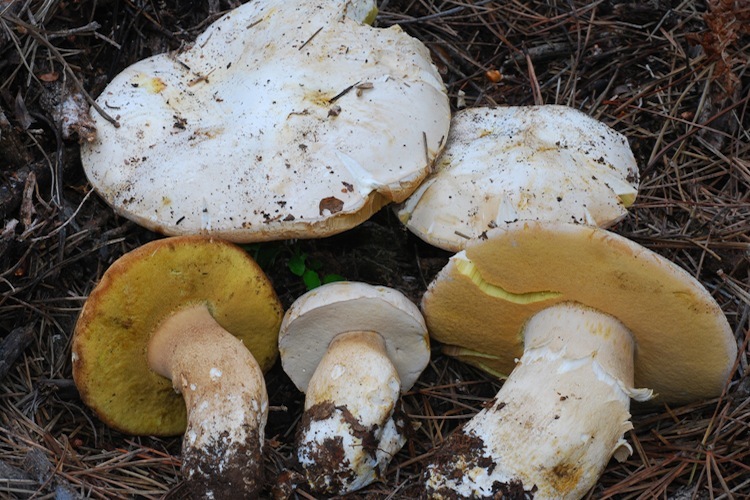 All are ectomycorrhizal, and apparently fairly flexible with regards to host tree association. 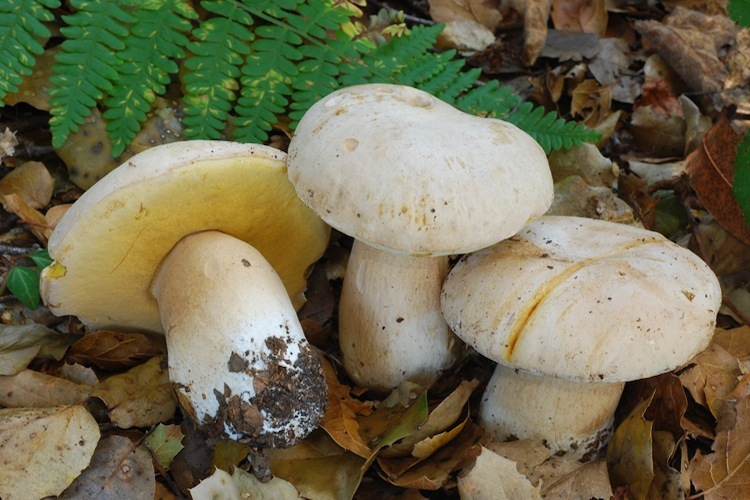 These species and their relatives are all excellent edibles, and are quarry for often-frenzied gatherering traditions throughout the northern hemisphere. 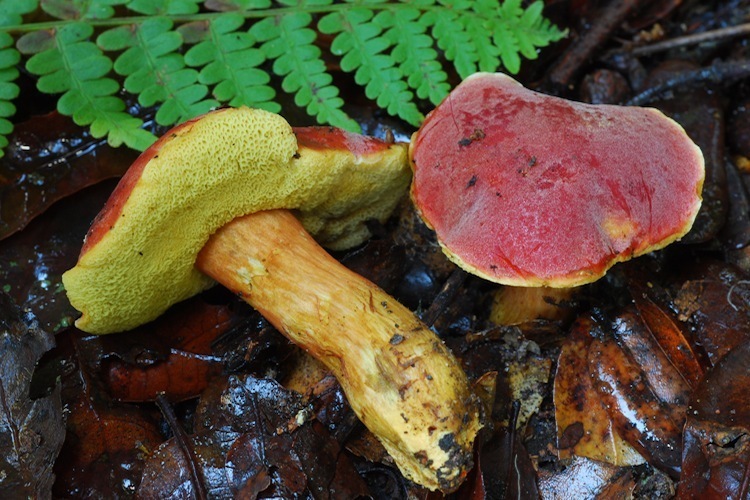 The most famous species is B. edulis; which has many common names from the various cultures that value it. 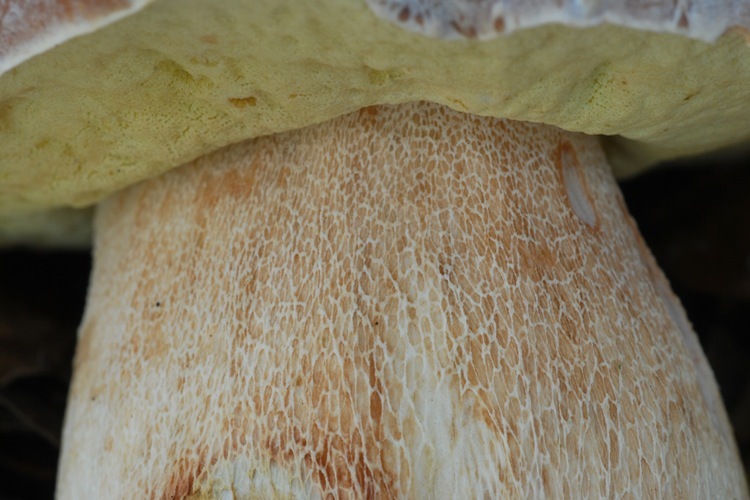 The subtle variation in the appearance of the fruitbodies of this species throughout its range has led mycologists to name of a number of different varieties, including our local one, B. edulis var. 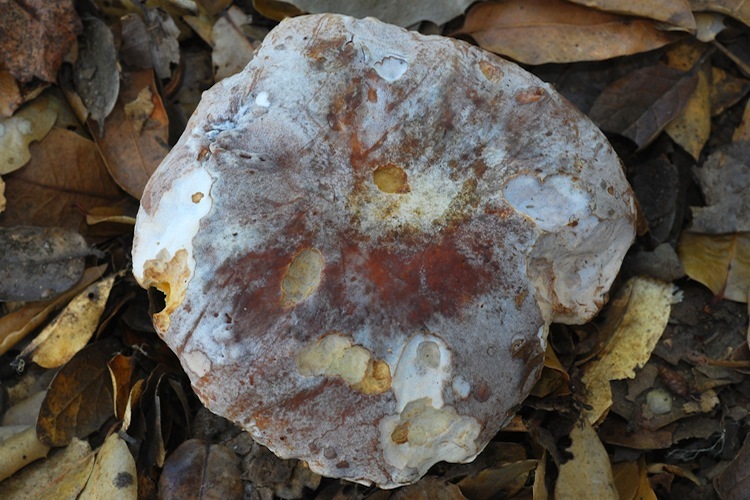 grandedulis recognized by its tendency to develop dark red-brown tones in the pore layer in age. 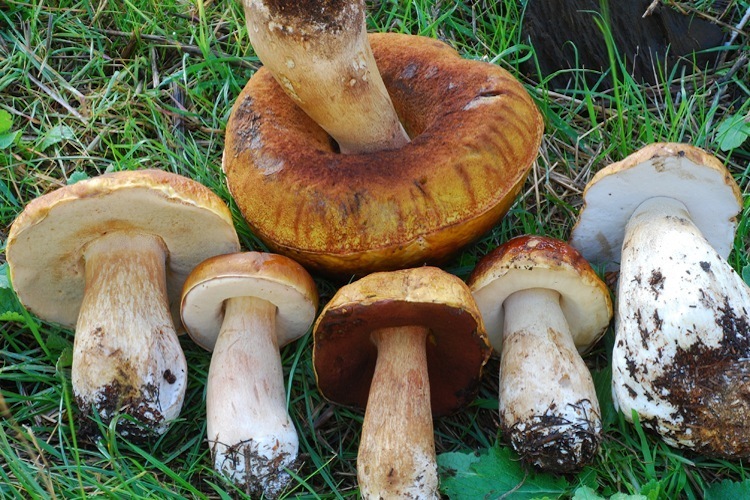 Whether this variety will remain or whether it will be elevated to full species status remains to be seen. 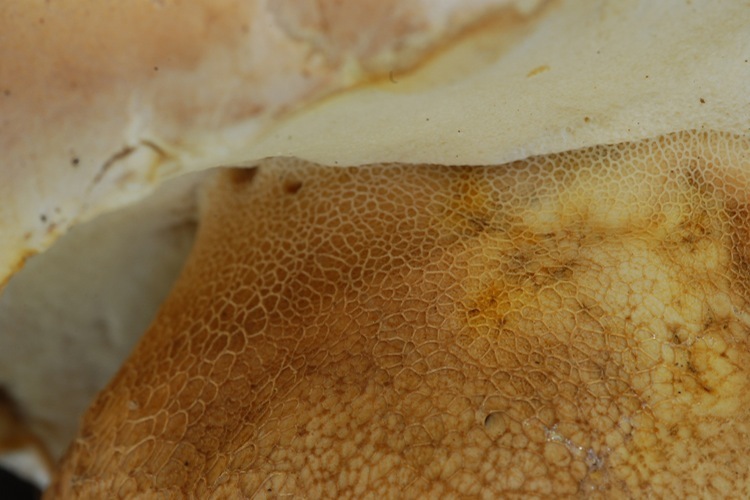 Important identification characters: can be subtle. 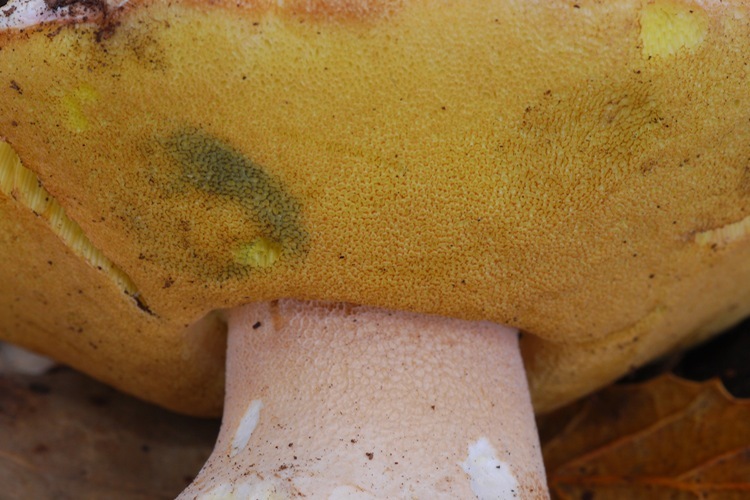 Pay attention to overall cap color, presence of a 'bloom' or powder when young, color of pore layer in age, fruiting season, stature, and habitat association.